Accessed and run by Blue Diamond Home & Garden. Lunch is served daily, and light snacks can be found their our deli counter. You can also choose from a delicious Fresh Carvery or the Chef Specials. Great offers during the week for two course lunches and special set meals for senior citizens from Monday and Tuesday only. 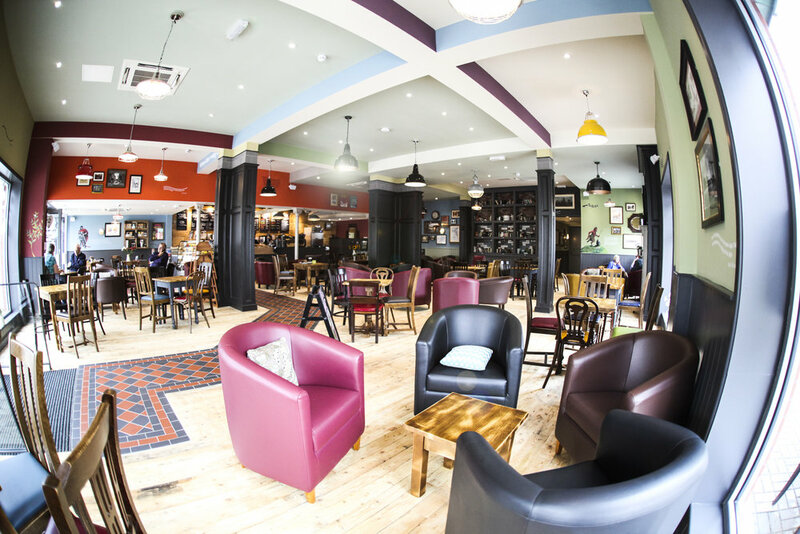 Coffee#1 have created a beautiful living room feel with leather armchairs and reclaimed furniture, together with some fantastic wall art and historic features about Evesham. With friendly baristas offering handcrafted coffee and sumptuous snacks make sure you pop in and say hello next time you visit. Crafter's Companion in-store cafe, serving hot and cold drinks, sandwiches, jacket potatoes and plenty of lovely cakes!